Apple made some changes in the executive offices. Phil Schiller, senior vice president of Worldwide Marketing, has added oversight over the App Store to his job description. 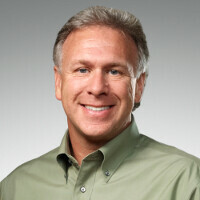 Schiller is now in charge of most developer related functions at Apple. The tech titan employs the talents of 11 million developers globally, who build apps for Apple's four platforms including iOS and watchOS. In addition, Jeff Williams has been named Apple's Chief Operating Officer. That happens to be the position that Tim Cook filled prior to becoming the company's CEO on August 24th, 2011. Because of his cancer, Apple co-founder Steve Jobs was not feeling strong enough to run the company on a day-to-day basis, and decided to step down. Williams joined Apple as head of worldwide procurement in 1998. Six years later, he was named vice president of Operations. He has managed Apple's supply chain for the last five years. Named VP for Hardware Technologies is Johny Srouji. He joined Apple back in 2008 to help with the development of the A4 chipset. Apple also announced that Tor Myhren will become the company's vice president of Marketing Communications, starting in the first quarter of 2016. Myhren will report directly to Tim Cook. He succeeds Hiroki Asai, who is leaving Apple after 18 years at Cupertino. "We are fortunate to have incredible depth and breadth of talent across Apple’s executive team. As we come to the end of the year, we’re recognizing the contributions already being made by two key executives. Jeff is hands-down the best operations executive I’ve ever worked with, and Johny’s team delivers world-class silicon designs which enable new innovations in our products year after year. In addition, Phil is taking on new responsibilities for advancing our ecosystem, led by the App Store, which has grown from a single, groundbreaking iOS store into four powerful platforms and an increasingly important part of our business. And I’m incredibly happy to welcome Tor Myhren, who will bring his creative talents to our advertising and marcom functions." — Tim Cook, CEO, Apple. Design is not just about how something looks. Its about how something works. Performs. Moves. Etc. Once your beloved Android devices start to show stunning speeds, FPS, low lag margins, fluidity, etc, you will understand what you laughed at, one day. Except they already do, but iFans refuse to accept that Android devices have caught up to their iPhones and even surpassed them in a few aspects. They also refuse to accept that their iDevices lag and get slow here and then just like any good Android flagship, instead they ride on the "lag free" reputation that their devices have gotten. Yes you are right to some degree that yes design is more than just looks. I think what he was laughing at is the claim of iPhone getting new innovations every year. I have never seen any new innovations on any iOs device or Mac for that matter. What I have seen is "sometimes" apple takes an idea and does it better. But that hasn't been the case since the iPhone 4S where Siri being integrated into the UI was better than when it was an app in the App store. As far as you claims about fluidity and lag and all that BS. My experience is every iPhone I have ever own, which was 2, the 4 and 4s were equally as laggy as any other phone i have every owned in the same places. Mostly the keyboard and in the browser. However Android was the only OS where in the browser I could flick the page one time and have it scroll 70% of the page vs iOs which barely past 30% of the page. I have never seen a 1st party innovation on Apple devices. As long as Apple continues to take credit for basically being a very good cook where they simply have learned how to give proper balance to the ingredients they buy, and not give credit to those that actually sell them that stuff; then I will laugh at their claim of innovation. Yes they have brought some innovation to their CPU which like others is based on designs of ARM What Apple products have brought is a very high level of evolutionary concepts and designs that we have seen over the years. Those things have been made better via better manufacturing capabilities and a explosion in skill when it comes to engineering. I will give Apple only the credit they deserve as they or anyone else should get. Keep giving us good phones and apps Phil. You could though. Lol. Theres a big blue button that says "OPEN". Busted! Even vapid teens who couldn't tell you anything about what is inside an iPhone know that. Tim Coo??? When did Coo become the CEO? Please fix why it takes iTunes so long to load on my PC on Comcast. i7 w/16Gb fo RAM and 2 GPU's and it still takes iTunes on my PC as long as 70 secs+ to load to a point I can actually scroll through the items. My PC boots from power of faster than this. I know because i timed it. My PC boots in 20-27 secs on average every single time. My Surface pro takes less than 15 secs and iTunes takes 70 secs to to load where i can actually scroll. Way to long.